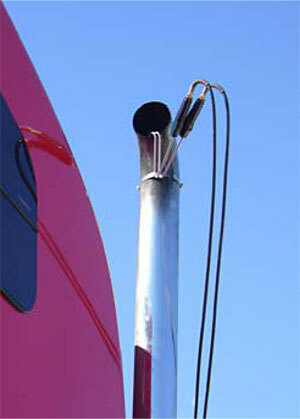 Biodiesels are often marketed as being cleaner than regular diesel for emissions. Emission test results depend on the biodiesel blend, but laboratory tests suggest that biodiesels decrease particulate matter, carbon monoxide, hydrocarbons, and air toxins when compared to regular diesel. Results for the amount of oxides of nitrogen (NOx) have been less conclusive. Tests have not evaluated the commonly available ranges of biodiesel blends in the laboratory. Additionally, little information is available from on-road studies, so the effectiveness of using biodiesels to reduce actual emissions is unknown. A more complex relationship exists between engine operation and the rate of emission production than is typically evaluated using engine or chassis dynamometer tests. On-road emissions can vary dramatically because emissions are correlated to engine mode. Additionally, activity such as idling, acceleration, deceleration, and operation against a grade can produce higher emissions than more stable engine operating modes. Since these modes are not well captured in a laboratory environment, understanding on-road relationships is critical in evaluating the emissions reductions that may be possible with biodiesels. More tests and quantifications of the effects of different blends on engine and vehicle performance are required to promote widespread use of biodiesel. The objective of this research was to conduct on-road and laboratory tests to compare the emission impacts of different blends of biodiesel to regular diesel fuel under different operating conditions. The team conducted engine dynamometer tests as well as on-road tests that utilized a portable emissions monitoring system that was used to instrument transit buses. Regular diesel and different blends of biodiesel were evaluated during on-road engine operation by instrumenting three in-use transit buses, from the CyRide system of Ames, Iowa, along existing transit routes. Evaluation of transit buses was selected for this study rather than heavy-duty trucks since transit buses have a regular route. This way, emissions for each of the biodiesel blends could be compared across the same operating conditions.